Earlier in 2017, Microsoft launched Windows 10 S as a lightweight, standalone alternative to the complete Windows 10 experience. It was meant to appease the student community and make it their primary choice instead of Chrome OS. But, Redmond is now rebranding its standalone operating system as Windows 10 S Mode, which will be a feature of Windows 10 itself. It is already available to enterprise users and enables them to run apps downloaded only from the Microsoft Store. This, Microsoft says, makes the system more secure and ready-to-use for new users. 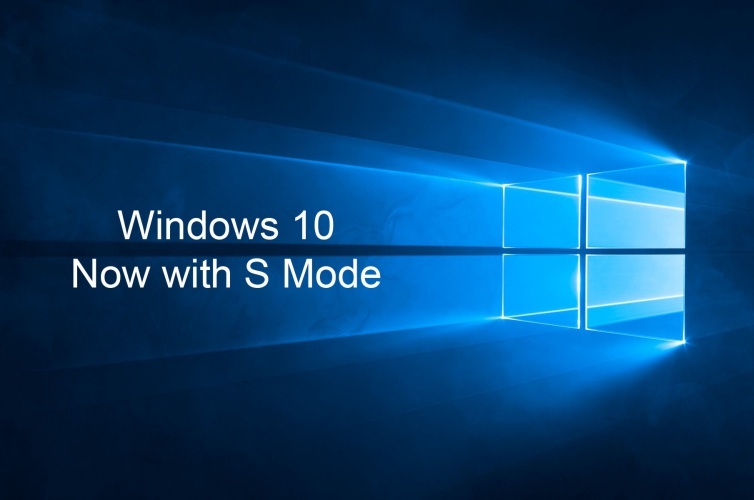 However, with the demise of Windows 10 Mobile confirmed, Microsoft is now preparing to further streamline its OS offerings and make the ‘S Mode’ available on all variants of Windows 10. This was first spotted by Neowin, who found a reference to ‘S Mode’ in the Insider Feedback Hub a couple days ago. The ‘S Mode on Windows 10’ wouldn’t be much different from the existing Windows 10 S. This feature will just secure the system and lock it down, such that you’d only be able to use apps from the Microsoft Store. It does not allow you to install Win32 software on the system, but that can be achieved by setting yourself free from the grips of Windows 10 S.
But, there would be a minor change that’d be incorporated in ‘S Mode’ for Windows 10, i.e there will be AV (anti-virus) and security apps available in this feature. This indicates that Microsoft is looking to make Windows 10 S even more secure, but does not specify if these apps will be pre-loaded (developed by them) or enable third-party software. This will make it differ from the whole premise of S Mode, though. Further, just like in Windows 10 S, you will have an option to upgrade to the standard versions of Windows 10. You’ll be able to upgrade to a standard Windows 10 Education and Home version for free, whereas opting for a standard Pro version will see you shelling out $49 for the upgrade. Since this is just a report, Microsoft hasn’t released an official statement on the change. It is currently unknown why Redmond is ditching its plans for Windows 10 S as a standalone operating system, even when the same was doing quite well. 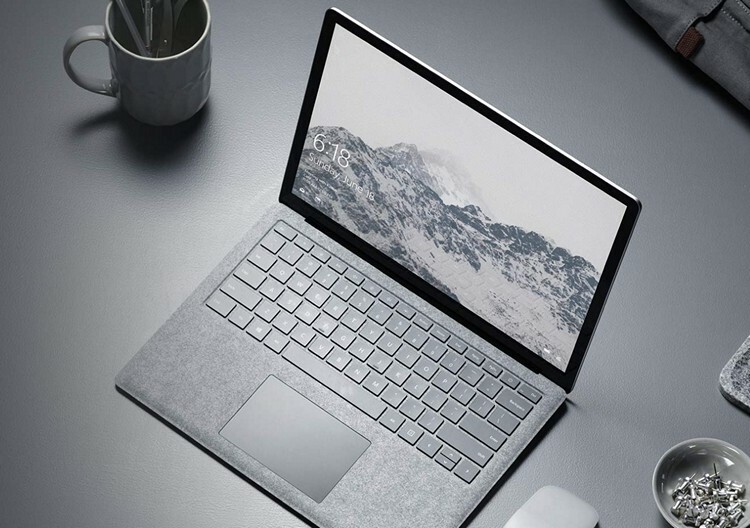 Microsoft even launched the Surface Laptop to mark the debut of its standalone Chrome OS competitor. Windows-specific publication Thurrott reports that more than 60% of users are sticking to Windows 10 S on third-party systems and haven’t switched to a standard variant of the operating system. But, the numbers also tell that 60% of users who jump ship, do so in the first 24 hours of buying a Windows 10 S system. So, this reason isn’t concrete enough for Microsoft to switch to a rebranded ‘S Mode’ feature. 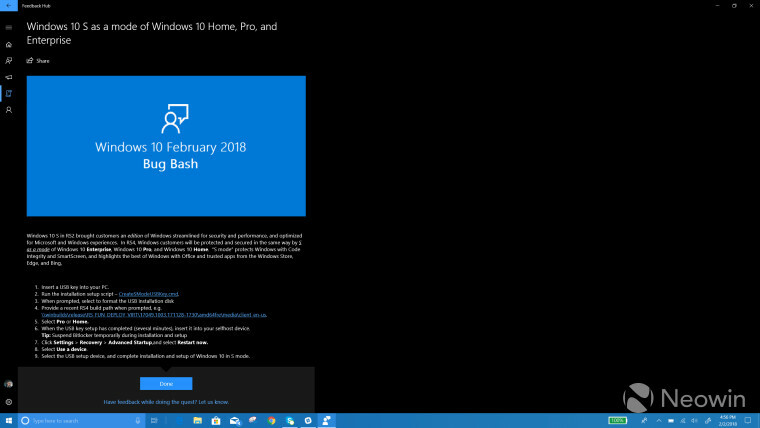 There is currently no timeline for the release of the ‘S Mode’ feature on Windows 10, but it is being suggested that the change could take effect from April or May late this year. What do you think can be the idea behind this sudden change? Or could it be Project Polaris? Let us know your thoughts down below.